Whenever I read a sign or post that says “join the fight against cancer” I cringe. You might wonder why? What is wrong with this? Should we not all fight against what we don´t like, what scares and harms us? The issue is not the joining forces to try to make things better, but the attitude. The attitude of fighting does not solve any problems. It actually makes things worse as you unknowingly strengthen the very thing you don´t want. When you fight something or someone, you give energy to the very issue that you want to go away. It is like the old saying “what you resist, persists”. 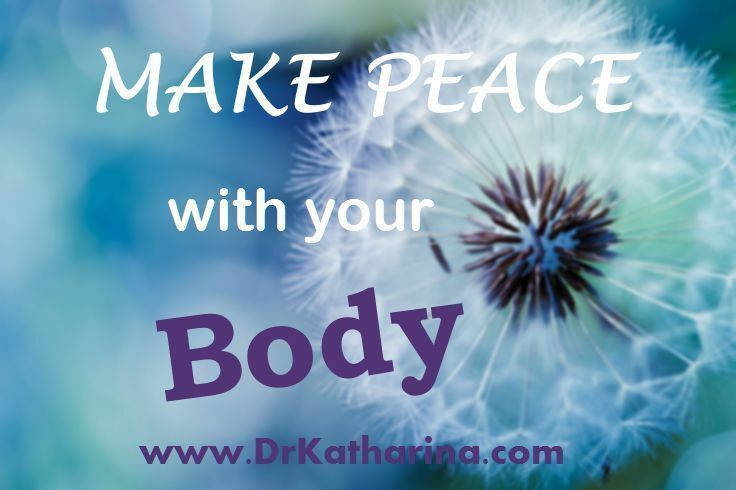 When you fight your disease, you are declaring war on your body. By declaring war, you cannot heal as healing means “to make whole again”. You see, all it takes is a shift in perception and consciousness. While this shift might seem small and insignificant, it is actually a huge step towards healing yourself. Imaging seeing a campaign that says: “Join the movement to make peace with your body”. How would that make you feel? Would you like to join and be a part of it? I definitely would, as I think it would be much more positive and uplifting, and ultimately, much more effective. PS: What do you think? Please leave a comment below.